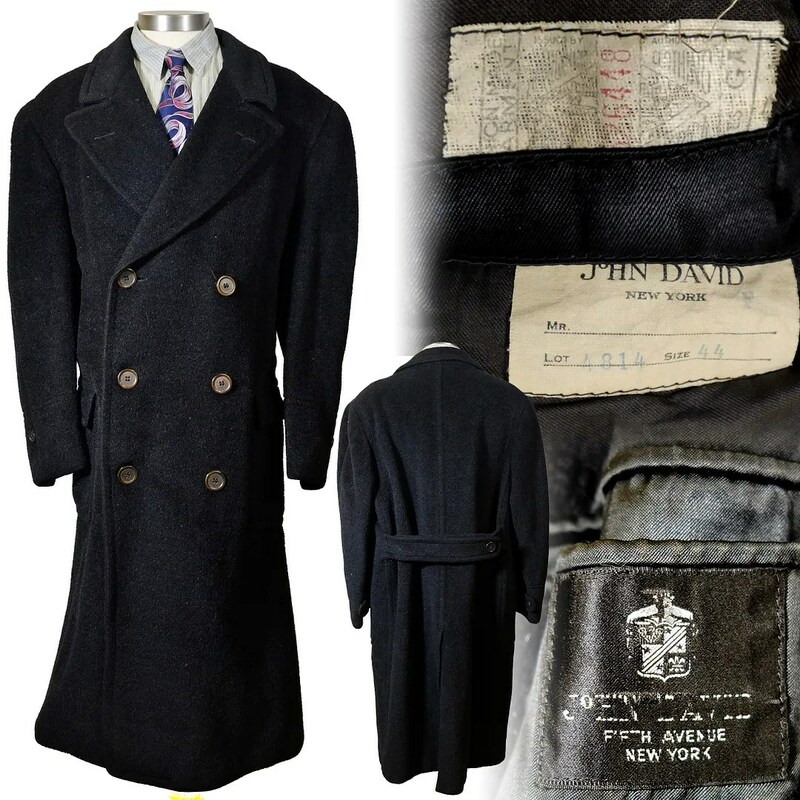 This vintage overcoat was made in the 1930s-early 1940s by John David of New York. 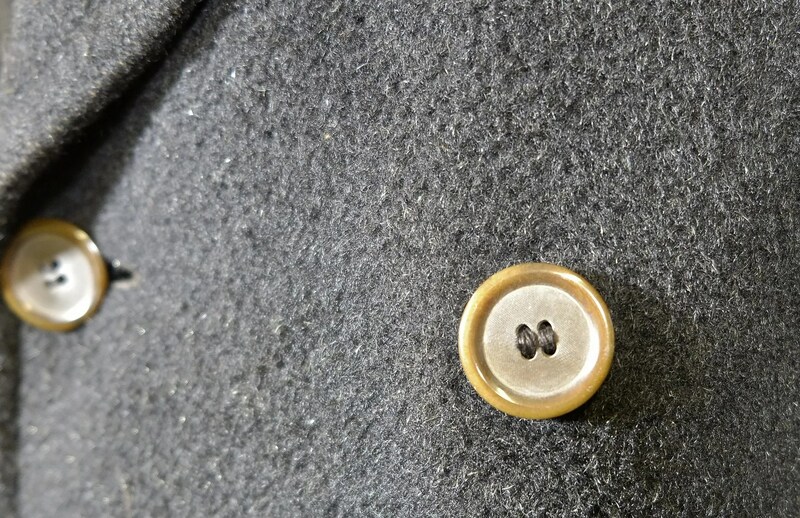 It is double breasted with a 3×6 buttoning and a belted back. 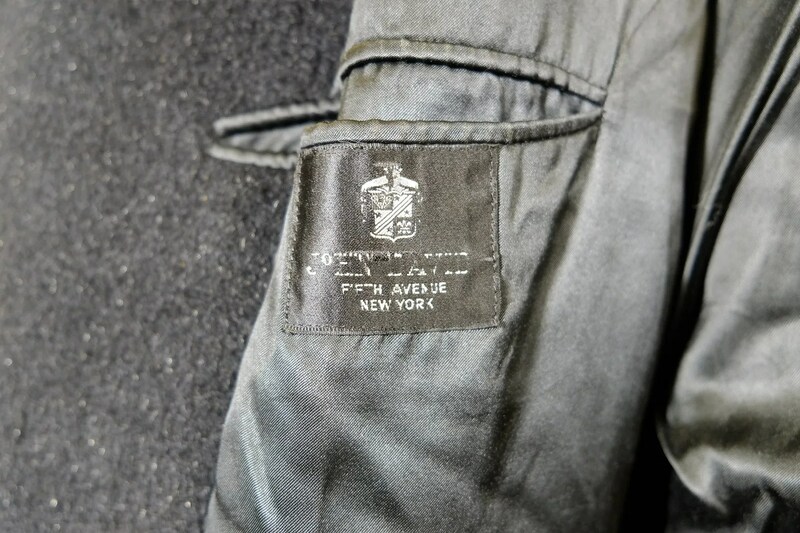 The coat is fully lined. 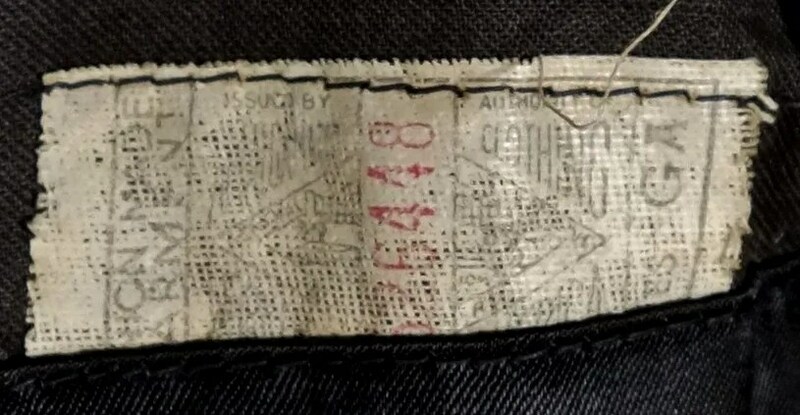 It has an Amalgamated Clothing workers of America label, but the way it is stitched, I can’t tell if it is a 1936 or 1939 variant. 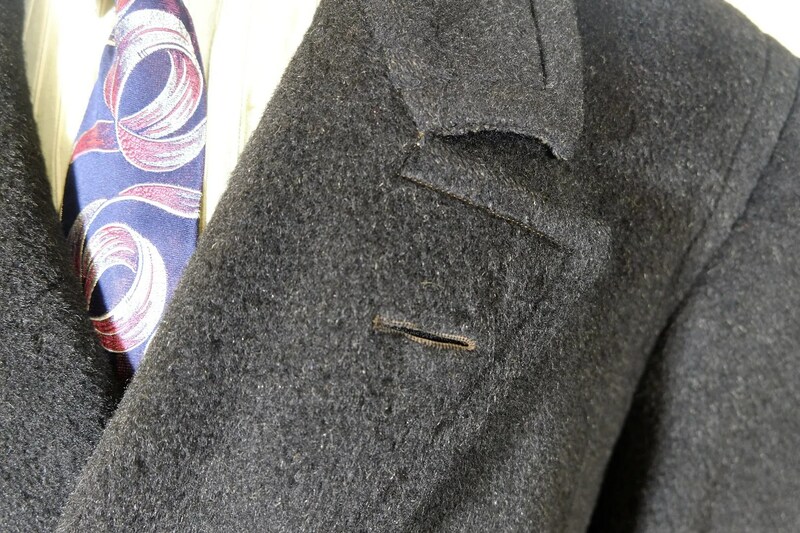 The styling of the coat points to a pre-war date of manufacture. 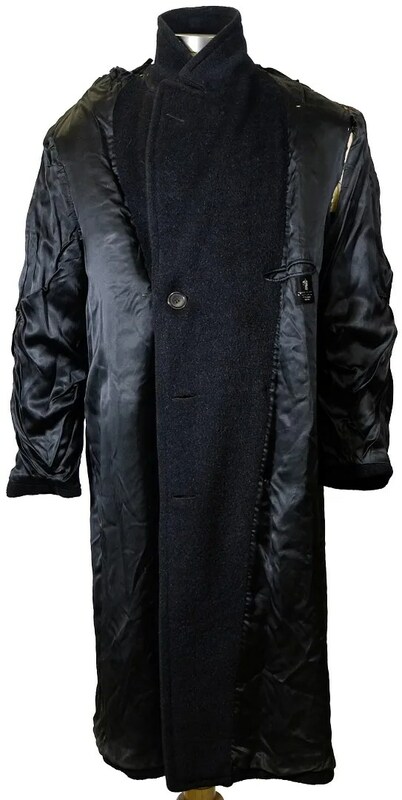 This is an extremely heavy overcoat. 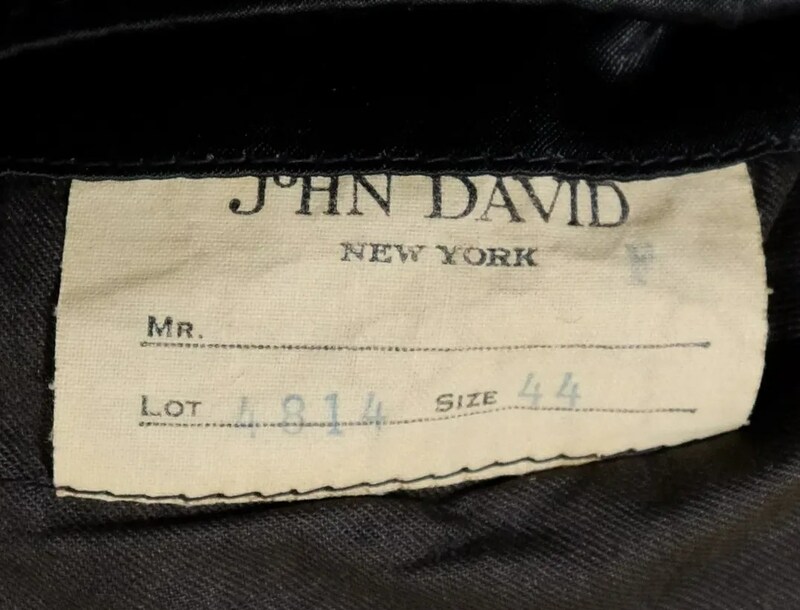 This entry was posted in Coats and tagged 1930s, 1940s, clothing, coat, double breasted, fashion, John David, mens, New York, overcoat, style, union made, vintage, vintage clothing, wool by Spencer Stewart. Bookmark the permalink.